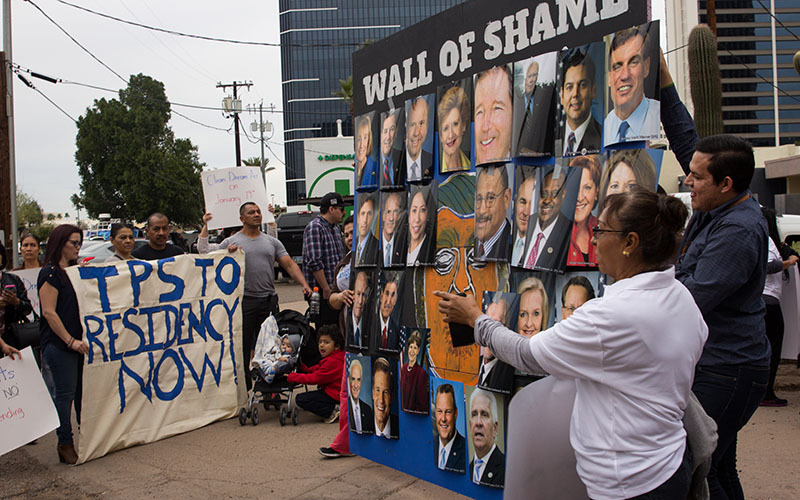 PHOENIX – A permanent solution for the so-called “Dreamers” will require an act of Congress, pro-DACA activists, along with dozens of DACA recipients, said Tuesday afternoon at a rally outside the headquarters for the Arizona Democratic Party. “There is no permanent protection if nothing goes through legislation,” said Adriana Cuevas, a DACA recipient attending the protest. 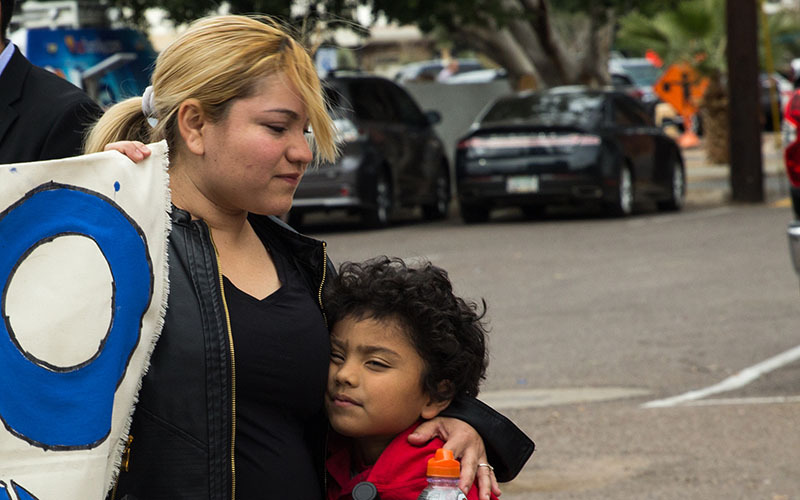 Cuevas, who also is a mother, said she hopes Congress will find a solution to protect the 800,000 “Dreamers” nationwide. Nearly 28,000 of them live in Arizona. “I’m not alone, and it’s something we are all going through together,” Cuevas said. 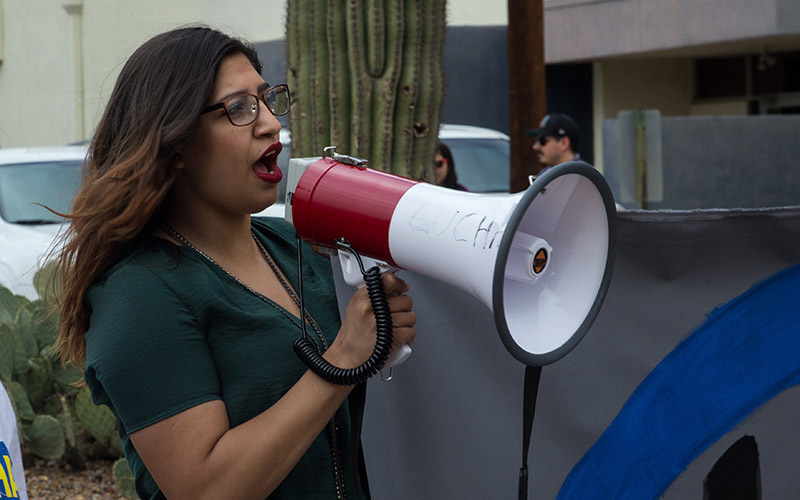 Tuesday’s rally included such groups as LUCHA, Mi Familia Vota and Arizona State University’s Undocumented Students for Education Equity, many of them reacting to the news revealing that the Trump administration will ask the Supreme Court to intervene, overturning last week’s ruling by a federal appeals court judge allowing for renewal applications to be admitted again. 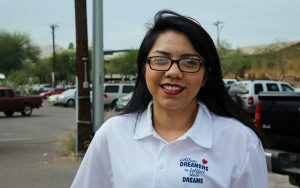 Brenda Ferreyra, a Valley DACA recipient who also participated in the protest, is eligible to apply. “It was a relief for me because I am able to have more time to work and save money to go to ASU,” Ferreyra said. The U.S. Citizenship and Immigration Services announced Saturday it will continue to take renewal applications after U.S. District Judge William Alsup issued a temporary injunction last week, blocking Trump’s decision to end DACA, which stands for Deferred Action for Childhood Arrivals, a program instituted by President Barack Obama in 2012 to protect from deportation young children who entered the country without proper documentation. 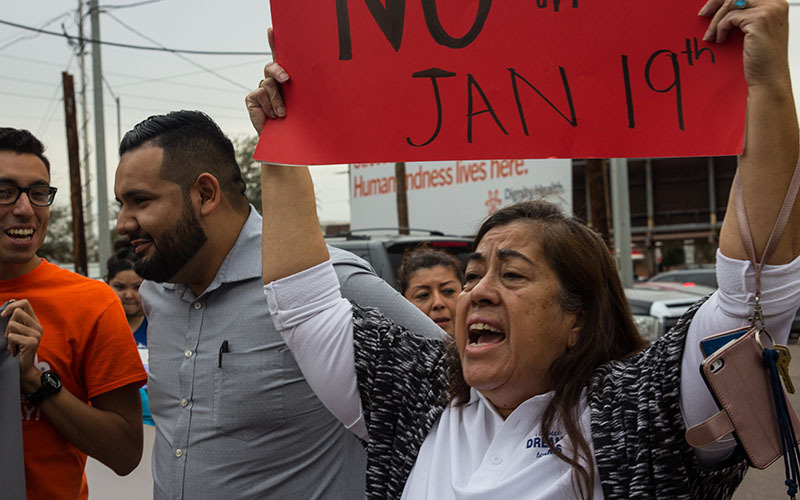 Ferreyra also said she has not formally yet applied to renew her DACA because she has been waiting for immigration services department to announce its plans to take in applications.